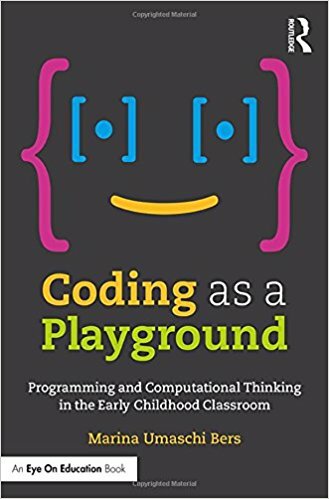 These boundaries of space, led me to reading Coding as a Playground: Programming and Computational Thinking in the Early Childhood Classroom by Marina Umaschi Bers. Bers is a professor at the Eliot-Pearson Department of Child Study and Human Development, adjunct professor at Tufts University in Department of Computer Science. She directs the research of The Developmental Technologies Research Group (DevTech) who explore the role of technology in early childhood learning. This to some, might sound like a lofty premise for a book about coding for children, but this is a book you can use. Bers is proposing coding as literacy, emphasising the process of learning to code at a young age through fun, play and creativity. There are examples, links to research and extensive free curriculum resources. The ‘New Languages for Young Children’ chapters on the development of Scratch Jnr, KIBO Robots and the development of a framework for evaluation of technology use in early years education are a valuable insight into the research and intention of block-coding and floor-robotics for children. Bers is approaching learning coding as a language like any other language, capable of creative expression. To help readers discover this playground, there are examples of learning activities that encourage children to communicate together, including through social and pair-programming and using coding robots linked to physical and active movement, leading to shared dance, movement, music, drama and storytelling. As I head forward into a new volunteer role, supporting older primary school age learners in coding clubs, Bers has helped me to focus on the potential of ideas in our educational Makerspaces. Ideas are accessible, affordable, expressible, transportable and transferable into spaces in a way that physical technology and materials are not. Bers helps us to see our potential as educators, to support students to gain agency in their relationship with computers. Although specific technologies are investigated, the value in this book is that the ideas can be extrapolated into primary, high school, adult education, community education, home schooling and across multiple domains. Within higher education, for example, I see a connection in Bers’ expression of the power of computation literacy for children, in which she references Papert’s concept of a field of “computer criticism” (Bers, 2018, p.27). These tie deeply into concepts of critical digital pedagogy, at least for me. 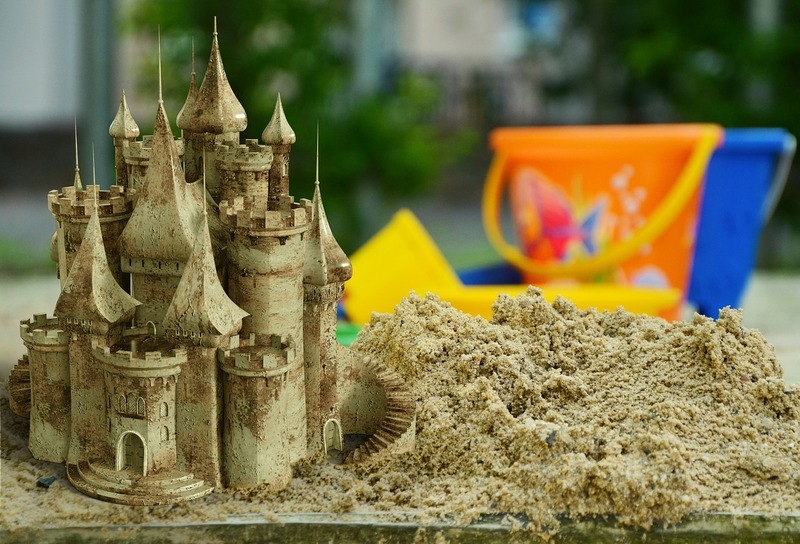 Perhaps the unifying language of coding, approached as a playground for all, could be one way to value the in-between edges and boundaries between the separate spaces within our educational institutions. This isn’t a read specifically for early childhood educators, it’s a read for all educators. It’s for anyone who feels a twinge of what we lose if we decide to become bystanders in our playgrounds of learning. 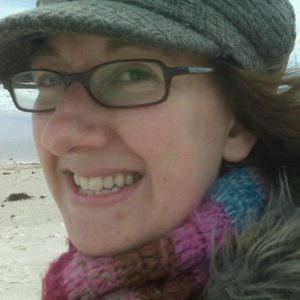 Angela Brown is a Learning Designer, in Adelaide, South Australia. She found a sunlit glade in higher education after wandering slightly off the path in the beautiful forest of librarianship and web development. She enjoys supporting the use of learning technologies alongside helping anyone of a curious disposition to discover the creative, imaginative and poetic side of coding languages. Angela is particularly fond of people making things together as learning experiences. When she’s not exploring ed-tech or maker spaces, Angela is out in nature, growing her own food in her backyard permaculture farm, camping in the wilderness and gazing at galaxies through telescopes. Angela blogs about learning at unobservableuniverse.wordpress.com, sometimes at intothetwilight.wordpress.com or on Twitter @angela_brown.